October 19, 2015. Today the Coalition Against Child Poverty, which Harvard FXB Center co-founded in 2014, marks its official launch by co-hosting a United Nations side event on Child Poverty and the SDGs. The event will focus on how the SDGs can help children escape poverty and accelerate efforts to end poverty for all. A panel discussion on indicators and implementation, organized by the coalition, will be live-streamed today from 1:15-2:30 pm. For more information see our recent blog. 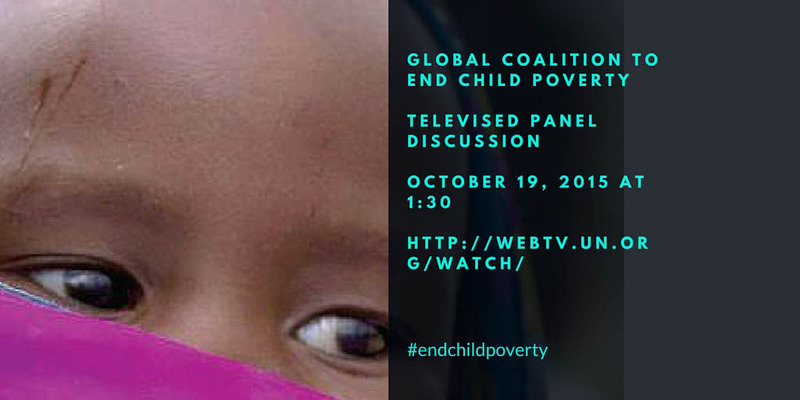 Follow the conversation on Twitter #ENDchildpoverty.